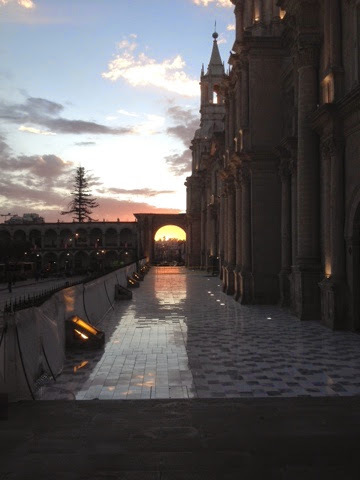 Day 9 in Peru was spent exploring the city of Arequipa, the second largest city in Peru. As this was a Sunday, the pace of the city had slowed from the lively Saturday night. 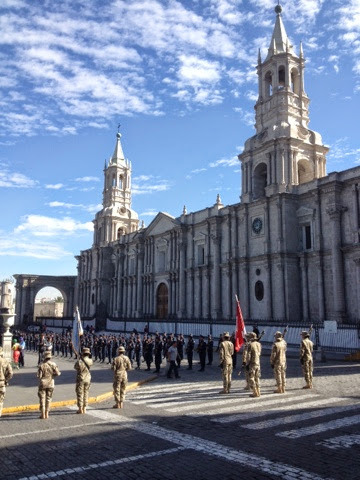 One of the highlights of the day was sipping coffee on a balcony overlooking the Plaza de Armas while watching an elaborate display of the local military personnel and city dignitaries. Complete with a marching band. Even though it's winter in Peru, Arequipa is quite warm during the day and very pleasant. The city is shrouded in smog because if it's size and being in a basin, surrounded by mountains and volcanoes. The smog does provide an impressive sunset, though. 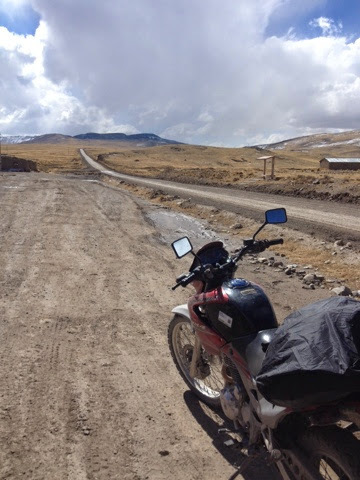 On Day 10 it was back on the motorcycles to begin working our way back to Cusco. The main challenge was fighting morning traffic out of Arequipa. 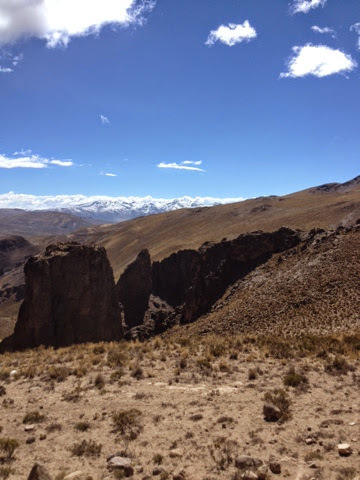 After that was accomplished, it was off to the town of Espinar, Peru. The map indicated that most of our route would be paved, however it must have been a "futuristic" map as the route was dirt and gravel. 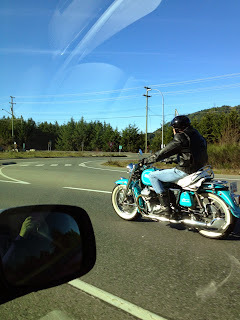 The road was well packed and maintained, which made the ride very enjoyable. Heading towards the snow and the mountains. 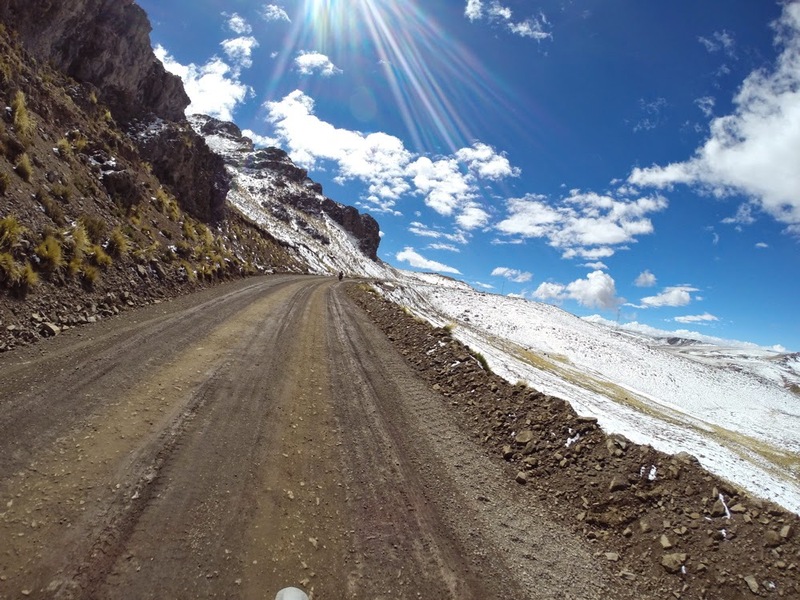 The road led to the mountains and snow, at least on the sides of the road. This stretch turned out to be the most remote of the trip and was also one of the most enjoyable. I enjoy riding roads with little or no traffic and this was a road I enjoyed a lot. We made it to Espinar, a community that was built by the local mining industry. This town is off the regular Peruvian tourist routes and "gringos" are rarely seen in town. The locals were very warm and friendly and we felt at home. We needed a place to store the motorcycles for the night and the warmth of the Peruvian people was very much alive in Espinar as the only motorcycle dealer in town allowed us to park our motorcycles in his shop. 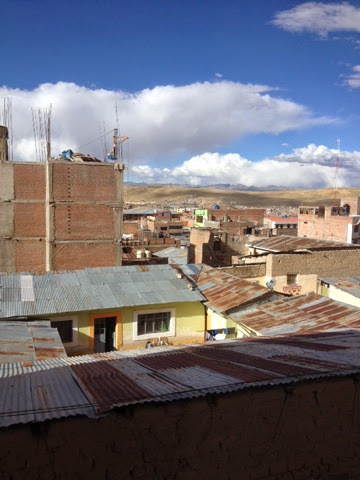 The view from our Espinar, Peru motel room.